October 2011: Bethan complained of pain but had no sign of bruising. December 2011: She had a very high temperature that I couldn’t control and a strange rash all over her body. She recovered slowly but it was unusual for Bethan as she was never poorly. 24 January 2012: We found a lump on top of Bethan’s left arm – it appeared almost overnight. I’d never seen anything like it. 25 January 2012: Bethan’s fifth birthday. We went to see the doctor. 30 January 2012: We had a hospital appointment for an X-ray – it saved her life. When the doctors gave a clinical diagnosis of Ewing’s sarcoma, it was life shattering. I couldn’t believe it, I just wanted to take Bethan home. Bethan needed a month of intensive scans and tests. 14 February 2012: Biopsy performed. The surgeon spoke to us afterwards and he was convinced it was Ewing’s sarcoma. 22 February 2012: A central line was put in. I hadn’t wanted the doctors to do it before this. I don’t know why but I just didn’t want a foreign object put in to Bethan’s body. 26 February 2012: Chemotherapy commenced. Bethan was on four drips at once – she was very poorly, was fed through a tube and it was just awful. She was supposed to be home for two weeks between each cycle but it never worked out like that – she’d come home, her blood levels would drop and she’d need to go back to hospital for a blood transfusion. She was at home for three or four days at most. She also had tests and X-rays done in this time too, to check on shrinkage and kidney function. Temperatures were very common– we pretty much lived in the hospital. 1 March 2012: Bethan lost her beautiful hair, teeth began falling out and she lost her toe and finger nails. She also needed a scan to check for relapse. 5 July 2012: Limb saving operation. The consultant gave us a list of treatment options to choose from. We were concerned about Bethan losing her arm, but it was the best option to give her the best chance of survival. They removed Bethan’s shoulder, humerus and elbow bones, irradiated it and put it back. She was on the operating table for eight hours. She’s been left with extremely brittle bones as they are now dead, so she has no feeling in her arm. But thankfully, 100% of the cancer was removed. 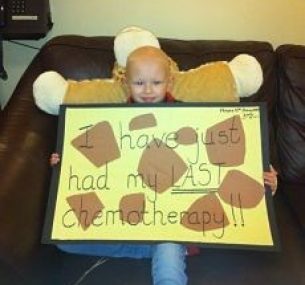 September 2012: Bethan started eight more rounds of chemotherapy and it was a little easier for Bethan to bear. She wasn’t in hospital as much but she still needed blood regularly. During this time we were able to enjoy Bethan while her bloods were good and go out a bit! 15 December 2012: Bethan spiked a temperature and was admitted to hospital. We were sent home at 7pm on Christmas Eve, with a very flat Bethan. We had to go back in on Christmas Day for more antibiotics. It was a very sad Christmas for us all. 11 January 2013: Last chemo given – what a day! Full of excitement but fear (mostly for me). 29 April 2014: Bethan’s lines came out on 29th April. What a day! We are now over a year NED (no evidence of disease) but she needs an MRI scan every three months. Bethan had fractures in her humerus, but it has not affected mobility as yet. When it does, she will endure an operation to remove the dead bones and have a titanium arm inserted. We will cross this bridge when it comes. During Bethan’s treatment, it was very difficult for my eldest daughter Amy, who was seven years old. She was really distressed because Bethan demanded so much of my time. It was very upsetting for us both. But our parents were great; not everyone has the support we had and not everyone is as lucky as us. 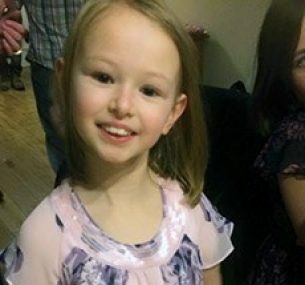 Age was on Bethan’s side – she was five years old when she was diagnosed so too little to fully understand what was happening. When she was school, she was classed as ‘high-risk’ and was sometimes isolated in the school playground as she wasn’t allowed to play with her friends. It wasn’t easy for her but the school was great. A massive issue for Bethan was losing her hair. But we got her a gorgeous wig and she was much happier. Her friends have been wonderful – they don’t see the lack of hair or the tube; they just see Bethan. Ewings has changed our lives so much. We are thankful each and every day for our daughter. Cancer is now in a box marked fear. It generally lives with us each day without being touched but when scans are due it explodes back into our lives just for a while. We’ve learnt to build a new life and we appreciate every little thing. 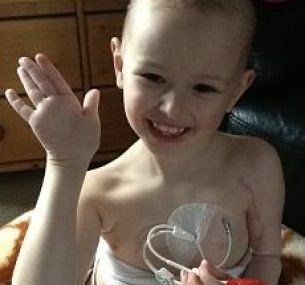 We live our lives to the full and Bethan won’t let the cancer take anything from her. Bethan’s has a phenomenal attitude – she won’t let anything stop her. She’s been back at school full time since September 2013. She’s doing really well and doesn’t have to be kept back. She missed half of her reception year and half of Year One but she’s really matured in the last two years and she’s still smiling. I like to share Bethan’s story as I want it to give hope to others – we have been in the press recently linked to a massive fundraiser we did. Research is so important – the things that can and have happened are phenomenal and all the fundraising makes a huge difference. 2015 so far has been great! Bethan received a 100% attendance certificate from school for the autumn term. She also gained her stage 5 swimming certificate and is now in the deep end of the swimming pool! 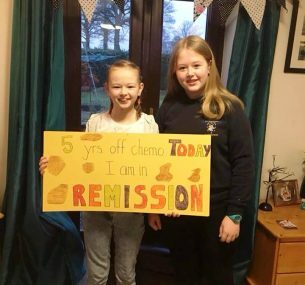 But our big news is we have just returned from a holiday in Tenerife which was to celebrate Bethan’s two years off chemo and two years of clear scans! Our scans are now every four months, rather than every three. Our fundraising continues, of course. The next event is focused on Amy, my eldest, as she has grown her hair and is having it chopped off for charity in April. Very exciting! Bethan is celebrating five years cancer-free this July 2017. We are celebrating with a trip to the Harry Potter tour in Watford. 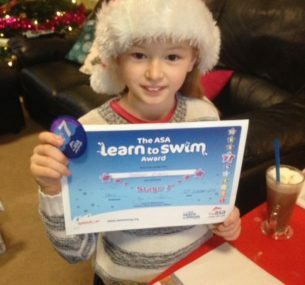 We are still awaiting her operation to replace her dead bones but she is coping extremely well and is now working on her stage 8 swimming badge and has been approached by the Olympics team who are keeping an eye on her amazing progress. She has just come second in our Welsh competition called the Urdd Eiseteddfod and continues to make us all so very proud. Thought you might like this update. Bethan and her big sister Amy are seen in this photo taken on 11 January 2018. 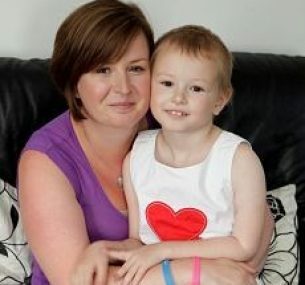 Bethan is now five years off chemotherapy and is now in remission.